further violence; and offered his good offices to facilitate dialogue for a negotiated settlement of the Jammu and Kashmir dispute. continued commitment of Pakistan to the peaceful resolution of Kashmir dispute for the sake of regional peace and security. Secretary General’s statement as a “positive” and “encouraging” development and said the Prime Minister’s initiative would help further highlight at international level the issue of Indian Occupied Jammu and Kashmir as well as the continued violation of human rights there. Pakistan’s approach which it has been pursuing for several years for the peaceful settlement of the dispute. General’s offer of facilitating the dialogue”. said the UN Secretary General’s statement on Kashmir was the result of Pakistan’s efforts to highlight the issue and persuade the world on the need of resolving this dispute. 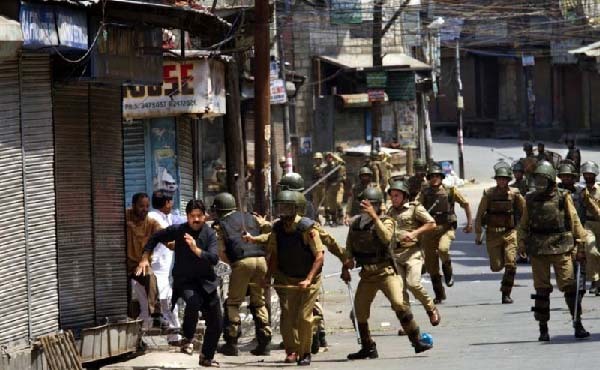 grave human rights violations by India in the Occupied Jammu and Kashmir, Pakistan’s persistent positive role will impact the world conscience. International Relations Department at Quaid e Azam University, said the UN Secretary General’s statement in response to the Prime Minister’s letter initiative will further highlight the issue of Kashmir as well as the Indian atrocities in Occupied Kashmir. on India for the resolution of Jammu and Kashmir dispute in accordance with the UN Resolutions that pledged a free and fair plebiscite for right of self determination by Kashmiris.